At the end of a long and leafy drive and set within a secluded corner of the owner's 30-acre estate, this former cowshed has been recently converted combining rustic charm with modern amenities. Enjoying far-reaching views over the breathtaking countryside in this Area of Outstanding Natural Beauty, Coach House Barn offers a haven for those who want to escape from the hassle of everyday life. The Bodiam Castle Walk is just one of the myriad of walks leading from the bottom of the garden, making this an ideal base for ramblers. 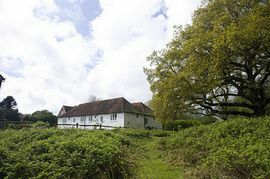 For those who prefer a more leisurely pace, take a gentle stroll down the hill to the pretty village of Ewhurst Green and enjoy a freshly-cooked meal or a pint of beer at the local White Dog Inn, widely regarded as one of the best pubs in Sussex. Located in the heart of historic 1066 Country, there is an abundance of things to see and do within in the surrounding area, whatever the season. From ancient castles (Bodiam Castle is 1 mile away), glorious gardens (Great Dixter is 5 minutes by car and Sissinghurst is 20 minutes drive away)and picture book villages, to vintage steam trains (Kent and East Sussex Steam Railway is 1 mile away), championship golf courses, internationally renowned vineyards and miles of golden sand along a stunning coastline. 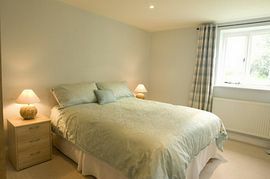 Offering spacious and comfortable accommodation, entry is into a hallway giving access to the tastefully decorated double bedroom, with en-suite shower room: the perfect resting place at the end of a busy day, enjoying the delights of the Sussex countryside. Moving forward, the lounge has a beamed ceiling and wood floor. The 32" plasma screen tv receives all the Freeview channels. 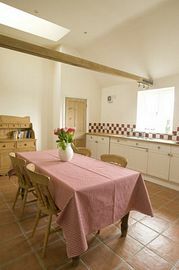 The property also boasts a very well equipped farmhouse style kitchen/diner, a utility room and a sizeable drying room, useful in the unlikely event of inclement weather! 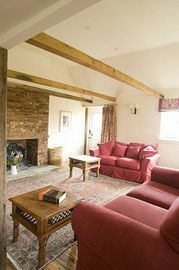 Stable doors open out from the lounge on to a private lawned garden with delightful countryside views, a fantastic place to sit and relax. Given at the time of booking. £395-£625 per week, depending on season. 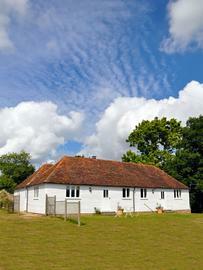 Weekend and midweek breaks available from £275-£425, again depending on season.